I'm going to wait to put it out until after the St Patricks Day Sale goes up. We may also see a new concept so theres that. Welcome back to the Rock Report, the revived monthly newsletter for the Industry Division. As you all know Patch 3.5 is on the horizon and at the time of this writing may or may not be in Wave 1 PTU group now(it isn't). In any case just to give a heads up, Events will start again with 3.5 Live. Now on with the show. Recently in an episode of AtV early work on cave systems were shown off. It was a very good episode overall but the idea of caves sparked attention. In the video there were what appeared to be three types of cave entrances from sinkholes which allowed a ship to go down to foot entrances and even an entrance wide enough for an URSA rover. Winding paths and blocked access requiring the player to climb were also shown opening up an entirely new area of exploration. Shown in the video but also mentioned was the idea of mining in the cave and indeed one of the set pieces was a rock of something that could be mined. Not to take away from the idea of buried treasure but expanding on this idea would give CIG the ability to create vast underground caverns for mining either by hand vehicle or in rare cases ship. As in the real world the most valuable finds are deep below ground. This also means that it will be necessary to scour the surface of a planet or moon as completely as possible. Not an easy task given the size of Hurston alone and it is doubtful even the most enterprising of players has managed to cover all of a single moon yet. Another takeaway from this is that the game will probably have mining and transport vehicles in the future . While this idea may be very far off it is an almost certainty to fill out that niche in mining. It might even happen before agriculture is a mainstay feature. In any case it is certain that Industry will undertake several cave diving missions once this feature makes it into the game. What are your expectations about this new layer of exploration? 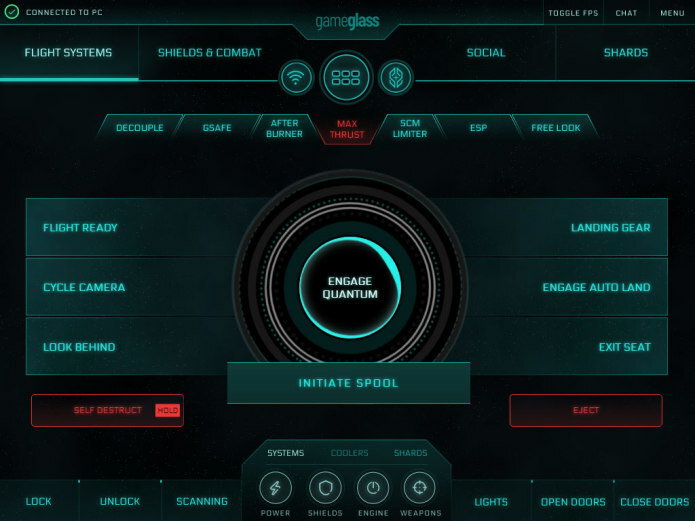 There was a recent Indiegogo campaign that managed to gain a little bit of traction in the Star Citizen community called Gameglass. 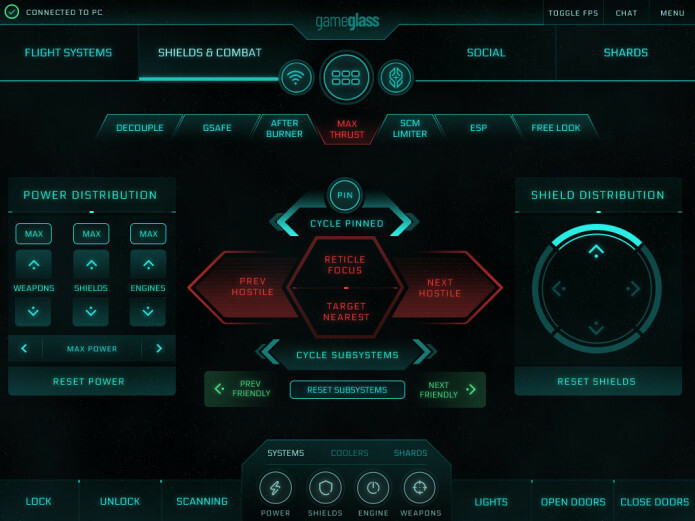 I know there were several discussions on this product in the Test forums but now that it has been in the early access alpha for a little while I thought I would share some thoughts on Gameglass for those that might still be on the fence. For those of you that aren’t aware, Gameglass is a product developed by a company of the same name and was able to raise a whopping $106,633 or 2,091% of it’s goal during the initial campaign on Indiegogo. In short the app that they are developing is an external control for your PC that is game dependent. All you need to run it is a tablet, either Android or iOS, with a browser like Chrome, and the application running on your PC. And as a bonus they are developing on the Kindle Fire HD 8 and 10 from Amazon, meaning you don’t have to break the bank buying a brand new iPad to run this. This turns the tablet into a multifunction display of sorts. Essentially when you press a button on the screen of your tablet it sends a command to your system that mimics a keyboard button press, the game sees that input and carries out whatever action is assigned to that keybind. So why not just use keybinds or a macro pad? Well, does your keyboard have a good looking interface like this? The first shard they have released is the Flight Systems shard that allows you to control some basic functions while you are in the pilot seat of a ship. Flight Ready having its own button has been quite useful so far, but I also like the other options that you see there such as decouple and lights. These give you a quick visual indicator of their state so you know if you are flying around with your high beams on or not. I think the most useful one on there though is the button to go directly to the comms screen, it certainly make landing a lot quicker, even though you still have to find that landing control on your contacts and call them up. They are planning on adding a few more options to this screen as they are added in 3.5, things like the lock function for the doors and your SCM limiter. I believe these things are going to a lot easier to deal with in an interface like this one, especially if you are using a keyboard and mouse and can’t just assign a slider or something to that function. So far there isn’t a lot that you couldn’t just program on the keymap and easily remember what changes you have made, but it is the future shards that they are developing that are really going to be useful. Under Shields and Combat you will be able to quickly orient your shield distribution and adjust your targeting. The Social shard is going to allow you to have control over emotes, the camera for your awesome selfies and it looks like even FOIP controls. The one that I found most intriguing though is the mining shard. 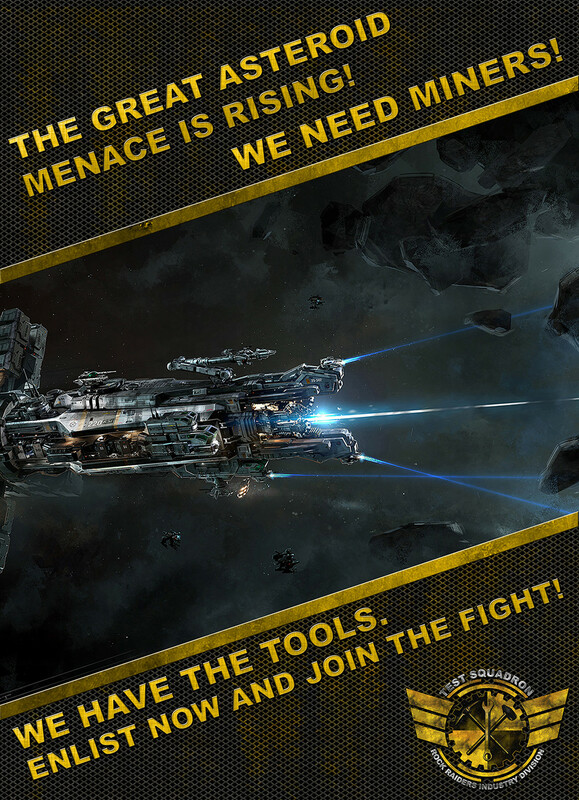 The screen shot is a little obscured by the coming soon banner, but you can see that it has control of the mining laser, including the throttle, and scanning. Hopefully the section they picture there that looks to include a mining database will be implemented because that looks like it would be immensely useful on mining expeditions. I have been using Gameglass when I play recently and I’ve found it to be pretty fun. I don’t really need to the buttons on a screen but it is much easier to remember where everything is in the interface. The best reason I can see so far for using it is the immersion. It becomes one of the multi-function displays in your ship, and just makes it that much closer to feeling like you are really in control of a Gladius. I’m not going to lie, I am probably going to be setting up another older tablet of mine to use once more shards come online. I might even be able to fully ditch the keyboard while I’m flying and just you a HOTAS and a couple of tablets. Unless you’ve been piss drunk you’ve seen CIG has put up a small promotion called Stella Fortuna. Packages containing an Emerald Phoenix sold fast but there is still time to acquire an URSA Rover Fortuna if you’re looking for an LTI upgrade token. Remember, only the Warbond has LTI Insurance. Find it here. As an aside, @Montoya has put up a raffle for a Fortuna. Head here to enter. It does look pretty neat. 3.5 will be out soon™ so we have that to look forward to as well. Yeah, I have really been enjoying using it, not because I don't or can't bind those keys, but just the feel of using it as an extra input device. The devs for it are also active on their Discord Server through the development process. Yesterday they were asking for everyone's input on a design choice they were trying to make. Feedback was given and they made changes based on what everyone was saying. It really feels like a project that is coming up out of the community. 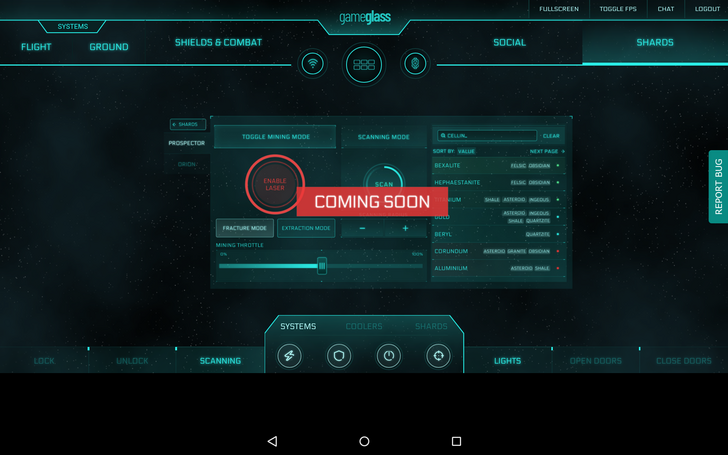 I'm fairly excited for the Game Glass. For 3.5 will we send a Prospector army over to the new moons to try and see what we can mine up? Welcome back to the Rock Report, the monthly newsletter for the Industry Division. Patch 3.5 Live s on the horizon…..still….. and at the time of this writing is still in PTU due to a number of major issues. In any case just to give a heads up, Events will start again with 3.5 Live. Now on with the show. A Channel! A Rock Raiders Channel! Rock Raiders now has a channel on the TEST Discord for all things Rock Raiders. In the TEST Discord just scroll down to the Star Citizen Channels and there it is. With this comes an OPTIONAL opt-in Role which can be acquired by just by asking @Black Sunder , @Printimus , or any Officer/Moderator. To be clear it can and will be pinged using this Role if there is important information to pass along or if an Event is coming up. This role can be dropped any time by asking any Officer or Moderator who is online so please do not mute the Server. The Role can be dropped just as easily as it was given. Please note that having this Role does not exclude anyone from having other Roles such as Merchants, Yellow Jackets, or TEST Marines. Determine general range of yield, profit, and rarity of rocks and their component minerals on each Moon/Planet/Belt. Have fun <- This is the really important one. Along with the Survey once 3.5 goes Live there will follow regular Mining Events both on Weekdays and Weekends. If someone does not have a Prospector do not worry, there are a few spares to loan around and if the group stays a regular thing then one of its goals will be to help those that do not have a Prospector purchase one with an eye later toward other group goals. 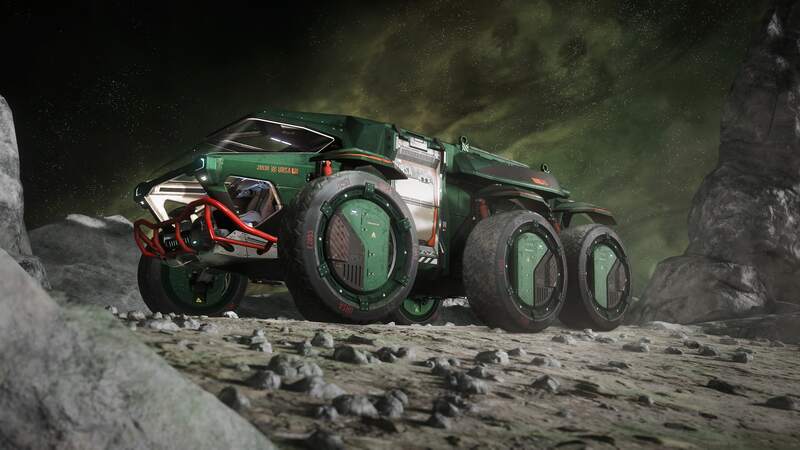 Early on in Star Citizen’s development CIG showed off a nifty and novel vehicle which at the time was only known as The Spider Miner by the community. Since that time it was seemingly forgotten until the Sq42 trailer showed a group of them mining some asteroids in The Coil. It showed up again once the Sq42 roadmap was published late last year and the Cydnus is its name, manufactured by Greycat Industrial. Will we see it in the PU? Most certainly, but not anytime soon because the essential component for it that is missing is a carrier of some kind. The Cydnus is not a ship and can not fly itself except maybe short distances to different asteroids or scramble around on a moon or planet on its legs. When it does come into the PU, expect it to be a hot item. The mission of Rock Raiders is to provide a home and social hub for the members of TEST who wish to partake in the industrial professions that Star Citizen offers, such as Mining, Salvaging, and Repair. The Industry Division will build a strong backbone that TEST Squadron can rely on in times of peace and times of war. The overriding priority is, and always will be, to have fun and do what brings us the most profit. The purpose of Rock Raiders is to be the industrial engine of TEST Squadron and give those who wish to focus on the more non-combat money making professions in the game a place to call home within the Organization. 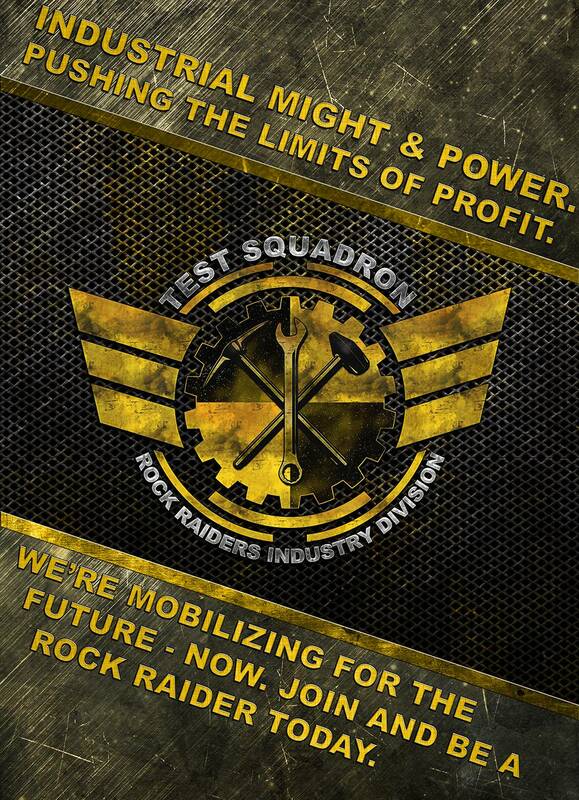 Rock Raiders is the Industry Division of TEST Squadron with all that entails. The Division will support member’s activities and in turn they will support the Division through their actions and participation in official operations to accomplish overarching objectives for the Division and Organization as a whole. The Division will pursue all avenues available to provide members with profit opportunities that will benefit everyone involved. Above all else the aim is to have fun. Whether it comes from small group operations, large Division or Org-wide ops, owning a large mining station, or trying to mine an enemy capital ship’s hull, Rock Raiders will do whatever is most fun for people and what makes the most profit at the time. A concerted effort is being put into 3.5 by TEST to start getting its Divisions off the ground because they need to happen sooner rather than later and after having waited years and years for the game to catch up to the planning it is now time. Those that were around when the Group Forums were still fully active will remember there was much more than this to Rock Raiders and going forward it will be brought out again as more of SC comes online. I cannot wait for the Orion to come online in the PU. As for the Ticks do not think they will ever be pilot controllable just part of the background story working around mining outpost stations in zero g.
I cannot wait for the Orion to come online in the PU. I don't want to think about what I want in the PU ... I'd be broke for a little while. But somehow, some way I'm going to get an Orion. With all the trimmings. Until then you are welcome to fly mine. Thanks @Bambooza. You know, Test members are great. But right now we don't need to worry for a while, and I think I might be able to have enough to buy the package that contains the Orion in the fall. All for one one for all! Um I just wanted to be able to drink while making money figured if I could find others to pilot the moneymaker then we can afford more beer.